Oven is a thermally insulated chamber for heating, baking or drying a substance and most commonly used for cooking. Built-in oven is integrated into your kitchen cabinets and placed in taller column cabinets at eye level. It is at a more convenient height; with no bending down to take your food out of the oven. As a China wall oven manufacturer, our company has absolute advantages at material, design, high tech, after sale service and qualified maintenance team and Vanward wins big fames in global market. 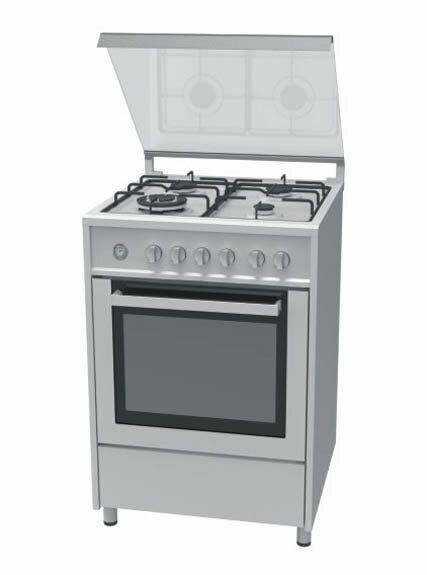 As a China wall oven manufacturer, we are dedicated to produce and develop wall oven series. 1. Time display and interior lighting. 2. Accurate temperature control and quick backing speed. 3. Auto oven shutoff: if the internal control temperature reaches 130℃, the wall oven will automatically shut off. 4. Safety device and good thermal insulation. 5. High grade enamel and easy to clean interior. 6. With cooling system to protect the cupboard. 7. Hidden bottom element and cool touch oven door. 8. Delay-bake system: let you program the built-in oven to start cooking when it’s most convenient for you, even if you’re not at home. 9. 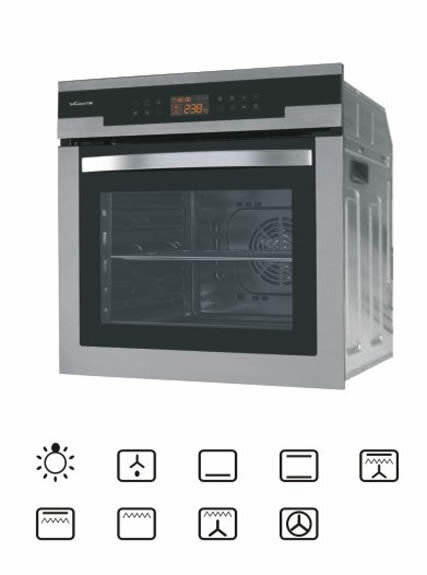 Designed with an interior light for the user monitoring the cooking progress of your food without opening the oven door. 10. High temperature resistance and corrosion resistance. 1. It needs cleaning the first time you use your oven. 2. Before baking your foods, set the temperature first. And then preheat the oven for about 10 minutes. Avoid preheating overtime, which may shorten working life of wall oven. 3. Be careful: avoid skin burns when the oven is heating. 4. Only clean the oven after it has completely cooled down. 5. The oven should be placed in a cool, dry, well ventilated place. 6. Do not get close to the built-in oven for a long time when it works. 1. Please use mild detergents to clean oven rack and backing tray. 2. Avoid using abrasive scrubbers or chemicals in your wall oven. These may cause damage to the tray coating. 3. Use a soft and wet cloth to clean the exterior of the oven. 4. Clean the oven surface with a soft rag moistured with dishwashing liquid. 5. Avoid water leaking inside the oven, which may cause damage to electrical parts or risk of electricity leakage. 6. Do not directly put the built-in oven in water for washing. 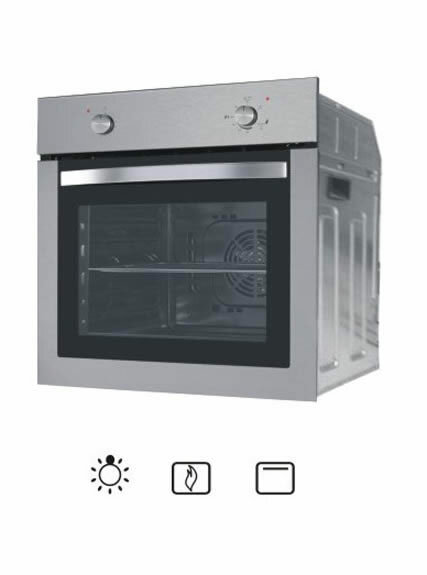 With specialized R&D team, professional employees and advanced manufacturing equipments, we ,as a China wall oven manufacturer, are able to supply electric oven with more advanced features such as sleek stainless-steel exteriors, LED displays, digital timers and control panels, meat probes, automatic on/ off option, storage draws and double-broiler settings.